Manipur is one of the most exotic travel destinations in India, and yet it is one of the least travelled tourist destinations! Situated in the beautiful Northeastern part of India, Manipur is gifted to the brim by Mother Nature! Manipur tourist places are often an amalgamation of the mysterious and the beautiful! Being home to hundreds of indigenous tribes, the state has an old world feel to it! The landscape of Manipur is blessed with a combination of scenic mountains, valleys, waterfalls, lush green forests and clear blue streams. Manipur tourism has many aces up its sleeves, and one such is Senapati. And that is where we begin our exploration of Manipur tourist places. 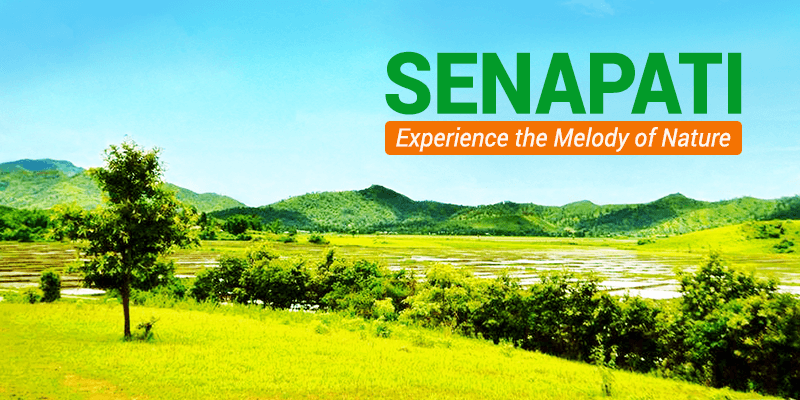 Unexplored and serene Senapati is nestled in the jungles of Northern Manipur. A trip to Senapati not only allows the tourists to view those gorgeous locations, but also gives them more than a glimpse into the unique culture of this town. More than 90% of Senapati’s land area is covered by lush green forests that are dotted with gently flowing streams and gushing waterfalls. The forests of Senapati are decorated with a unique collection of plants. Quite unknown in the Indian tourism trail, Senapati could be a dream destination for your next vacation trip. Senapati is located on the NH-2. Regular bus service is available from Imphal. The bus route from Imphal to Senapati is known for its spellbinding scenic beauty. Known as the “Gateway to Manipur”, Mao is the perfect place to experience the splendors of nature. Located 40 KM away from the district-town of Senapati, near the Nagaland-Manipur border, Mao has many enthralling trekking routes and waterfalls spread across its landscape. 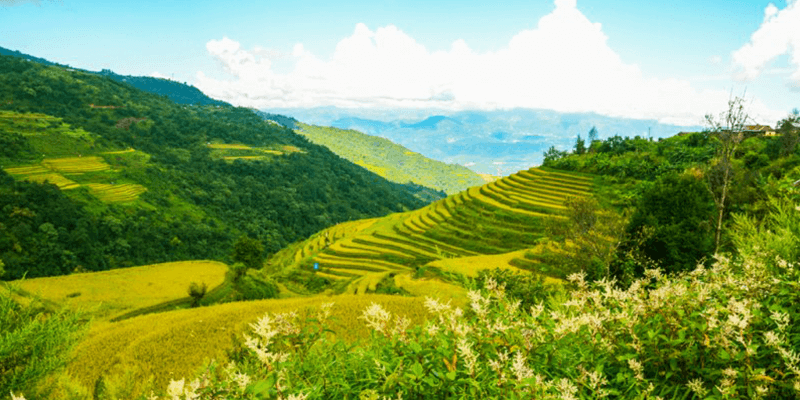 The Mao’s trekking routes pass through colorful flower valleys. You can stumble across a garden of Lilies, Orchids or other rare succulents while meandering through the valleys of Mao. This is why Mao is often termed as the “Manipur’s Valley of Flowers”. The village is mainly inhabited by the Mao Naga tribe, who have their unique customs and way of living. The villagers would be glad to invite you in and help you get a glimpse of their rare culture. Trivia: Naga King chilly is extensively grown in Mao. It has been certified as the “World’s hottest chilly”. Must see: Mao hosts the annual Cherry Blossom festival, every year in the month of November, where the tourists would be blown away by a colorful assortment of flowers on display! Shopping: If you are looking for quality branded clothes from Southeast Asian countries then a visit to the Mao market is a must! Food: Food here is quite affordable. A fulsome Naga thali would cost INR 200 and consists of many local delicacies. Purul is, another major Senapati tourist attraction, known for its rich cultural and traditional heritage. Located towards north of Senapati, the town is replete with magnificent views of the valleys, rivers, waterfalls and streams. Purul is a must visit destination for the birdwatchers, as it becomes a hub for migratory birds during the winter months. Purul also hosts annual traditional styled wrestling and Toutou competitions. The town has preserved these two Manipuri martial arts forms, and the competitions get a huge fan following with people from many neighboring towns paying a visit. Purul is also well known for its Manipuri handloom items. Almost every household here has a special handloom weaving machine using which exquisitely designed traditional attires are made. Trivia: Kanghi festival, celebrated during the month of December, is the best occasion to enjoy the wrestling and Toutou competitions. Must see: Lots of traditional Naga festivals are celebrated in this town, and tourists can enjoy these rare events by planning their Purul tour in the months from November to April. Shopping: Handwoven traditional Shawls and wrap-around are great items to take back home from Purul. Most of us know about the Stonehenge in England, but India has its own version of the Stonehenge. And it is located in the hilly terrains of Willong. 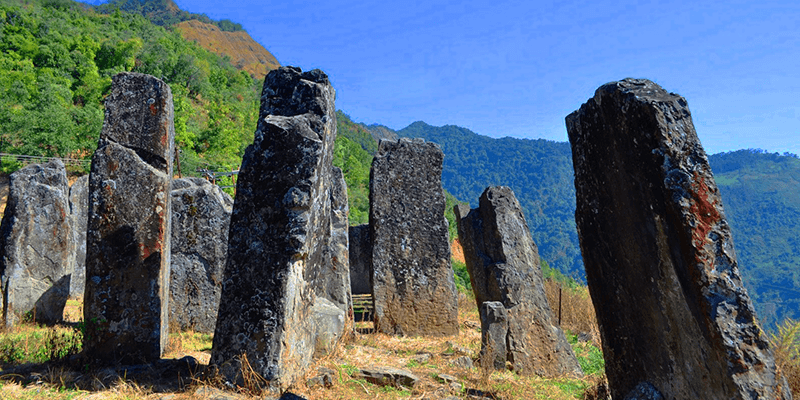 Situated some 56 KM from Senapati, Willong is well known for its 33 feet high monolithic rock structures. More than 150 such monoliths are spread across Willong. The villagers of Willong, belonging to the Maram tribe, believe that these stone hedges were built by their ancestors to honor the graves of brave warriors who laid down their lives while safeguarding the valley! There is a general consensus here that as long as these structures are present no danger can befall upon Willong. Tip: There are no hotels or stay options at Willong, so travelers should return back to Senapati by sunset. Beware: These rocks are held holy by the locals, do not show any disrespect to them while visiting Willong. Yanghullen is one of the oldest existing villages in India. 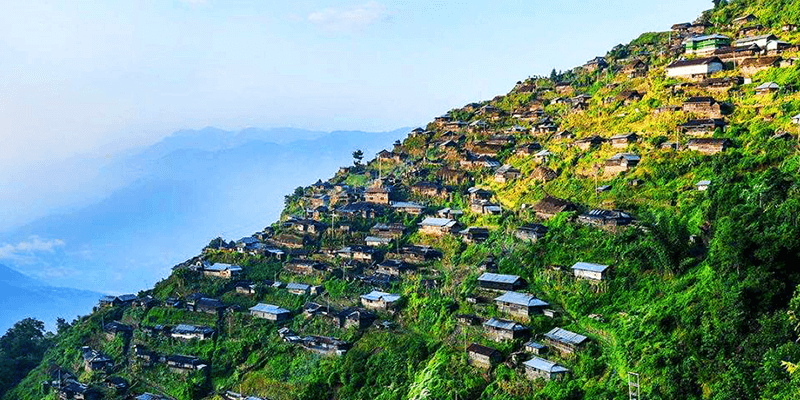 This is one of a kind slopping village in India, where the houses slope down from the mountain top. Far from the modern world, the villagers of Yanghullen still follow Paganism as their religion. There are many monasteries in the village, which preach this ancient religion. As a normal practice here, adolescent boys from each household are sent to the monasteries to learn the unique customs and traditions of the village. But the most photogenic attraction of Yanghullen is a huge cross overlooking the valleys and lush forests. This cross was believed to have been erected to commemorate the new millennium. Tip: While visiting Yanghullen tourists should gear up for 2 KM trek as there is no main road leading to the village. 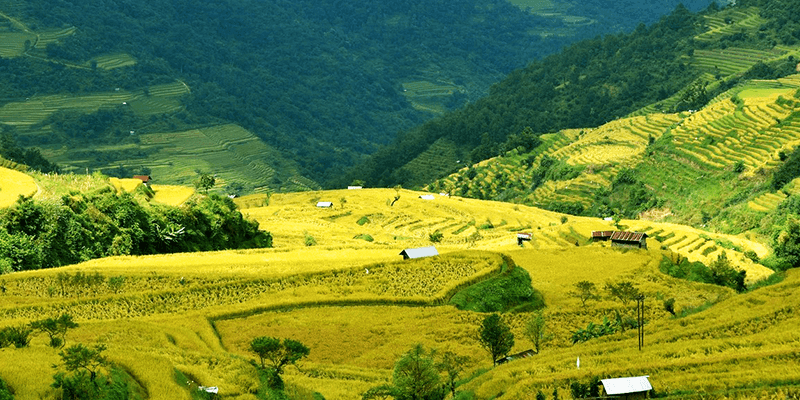 So, when are you planning a trip to this unexplored Manipur tourism marvel? Interesting blog. I have already visited Manipur twice but whenever I’d get a chance to visit the place next, I’d definitely try and explore these places as well. I have visited Manipur .It’s a very beautiful place.on my next visit I am surely going to visit these beautiful places best wishes Ashima. The locales look stunning and have remote quality to them that beckons .However since the festivals fall in different months , which one would be your top recommendation? Thank u for liking the article. 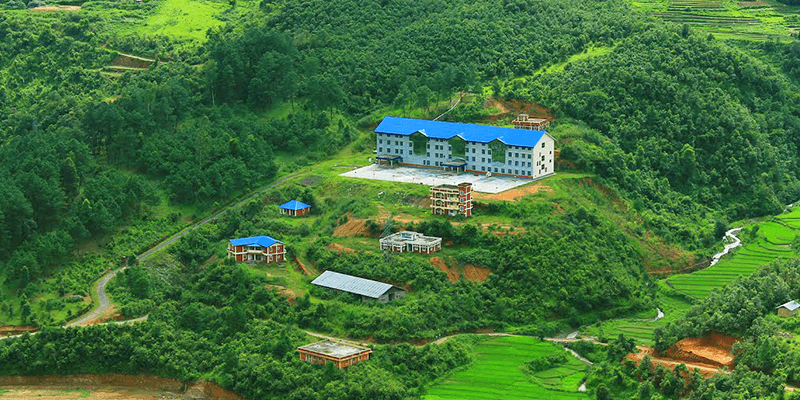 The best time to visit Senapati would be between November to February. This is the time when you can enjoy many local festivals. Senapati description gives a good feel and a desire to see the place. Maybe a little about experiences by a single tourist , duo or a family will make it more value added. Yes exactly I would surely keep in mind single tourists in my upcoming blogs. One of the most beautiful places in India. Very informative blog. Would love to know more about the North east. Thank you. Please stay tuned for more on northeast. Well written and all the required travel details are present. North East India is a virgin beauty. The colourful attire of the locals, there traditions, festivals and food are truly amazing and unmatched. The article is very well written and compiled. I am planning my second trip to Manipur shortly.